The Bris / Brit ceremony is a very special occasion and is accompanied by much happiness and rejoicing. The ceremony usually takes place at home, in a synagogue or at a catering hall. There are several honors to be conferred during the ceremony, usually bestowed upon the relatives and close friends of the baby's family. A couple enters with the baby and the baby is placed on a chair designated as the Chair of Elijah. The baby is then placed upon the lap of the Sandek (most often a grandfather) who holds the baby during the actual circumcision. After the appropriate blessing is recited, the circumcision is performed by the mohel. Immediately following the Bris / Brit, another blessing is said over a cup of wine, and the baby receives his official Hebrew name, which he will proudly carry throughout his life. The newborn child is often named after departed relatives, a symbolic source of life of those no longer with us. The ceremony ends with the resounding wish of "Mazel Tov!" followed by the serving of refreshments or a light meal. A Wonderful and Joyous Beginning! 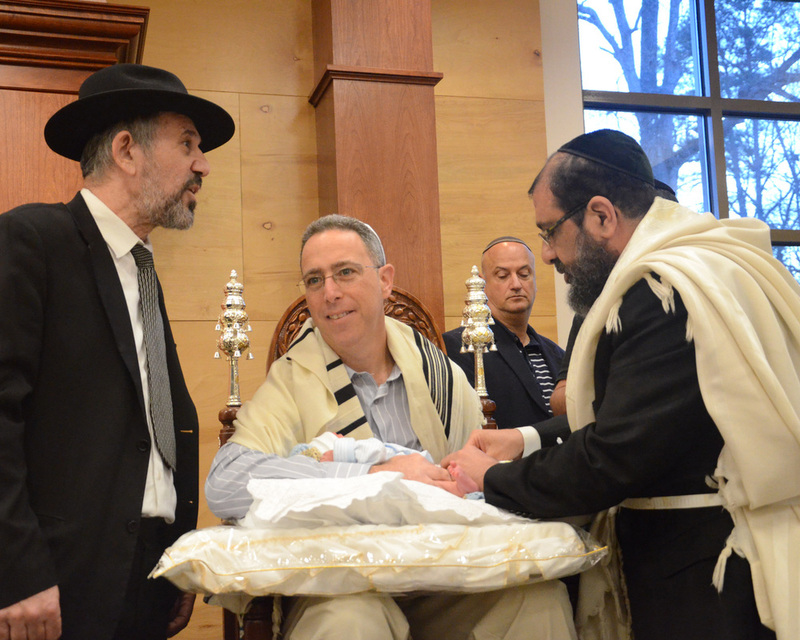 A Bris / Brit Milah performed according to Jewish tradition is a wonderful beginning for a newborn child. It is a memorable experience, replete with significance and meaning for all those involved. It is the first of many milestones and happy occasions to be joyously celebrated during the child's life, as he grows to be a source of nachas and satisfaction to all those close to him.